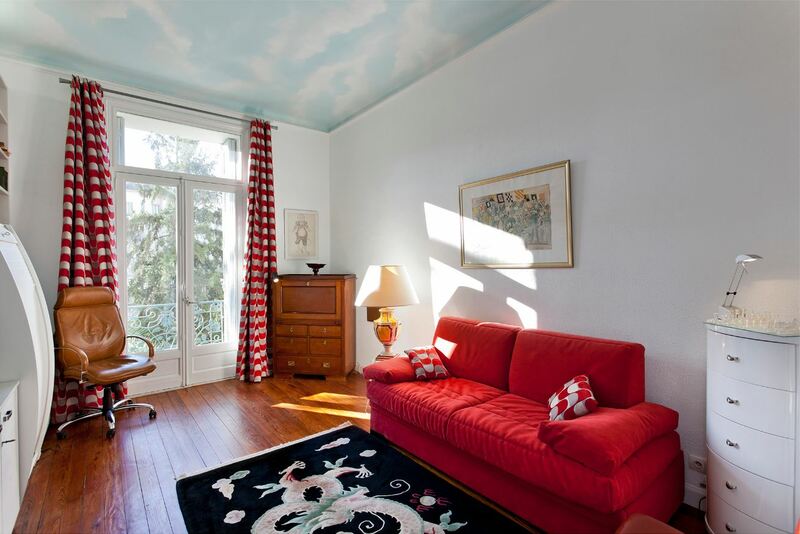 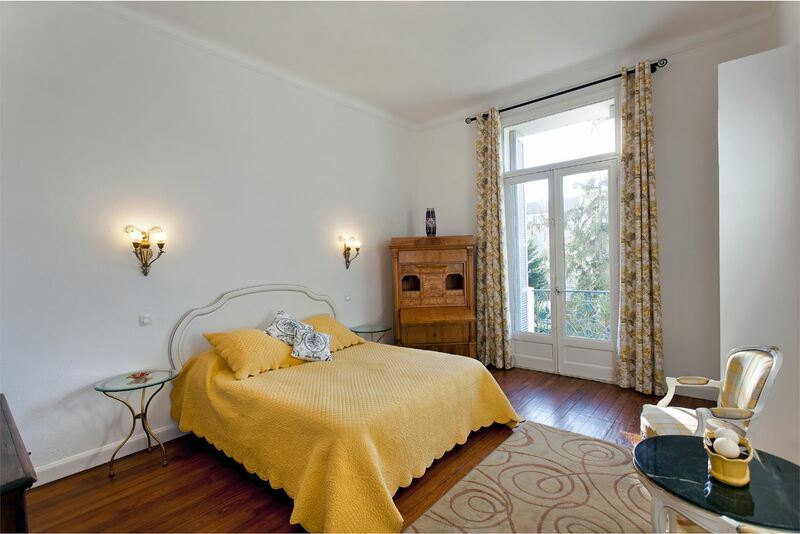 At a short 10 minute walk to the Rue d’Antibes and the Croisette, this fantastic 3-bedroom apartment is situated in a Belle Epoque style property in Cannes. 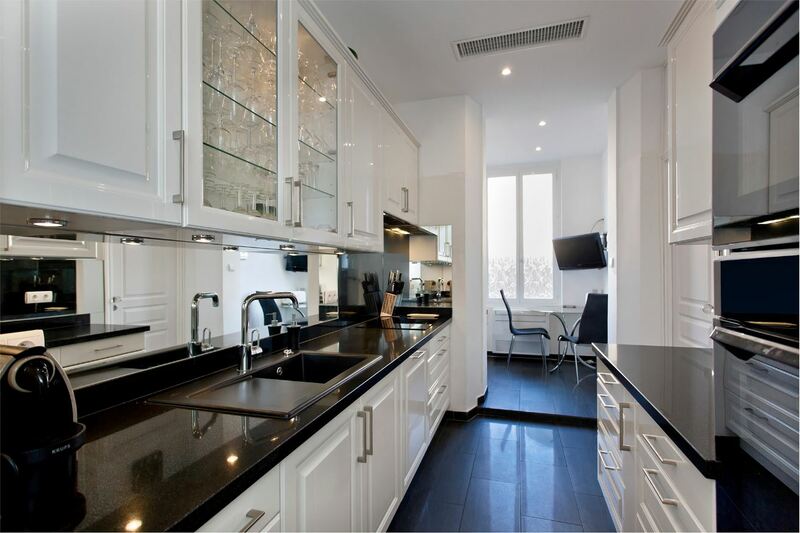 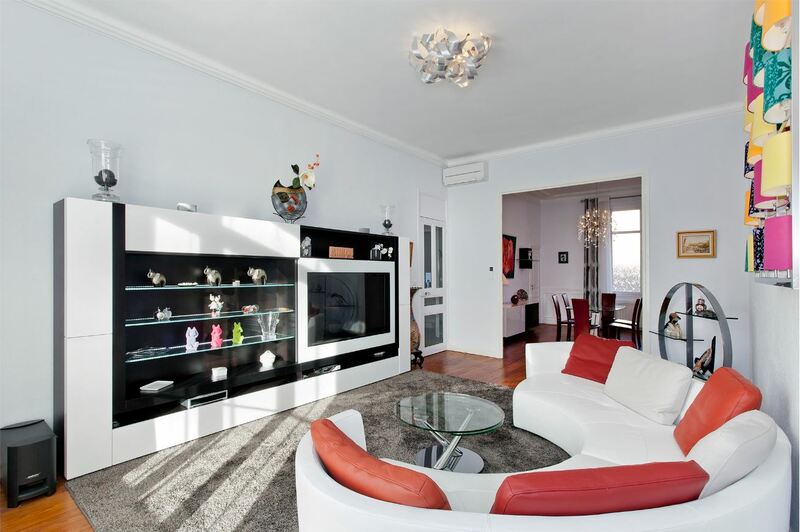 The property comprises of 2 reception rooms, a large living room and an equipped kitchen. 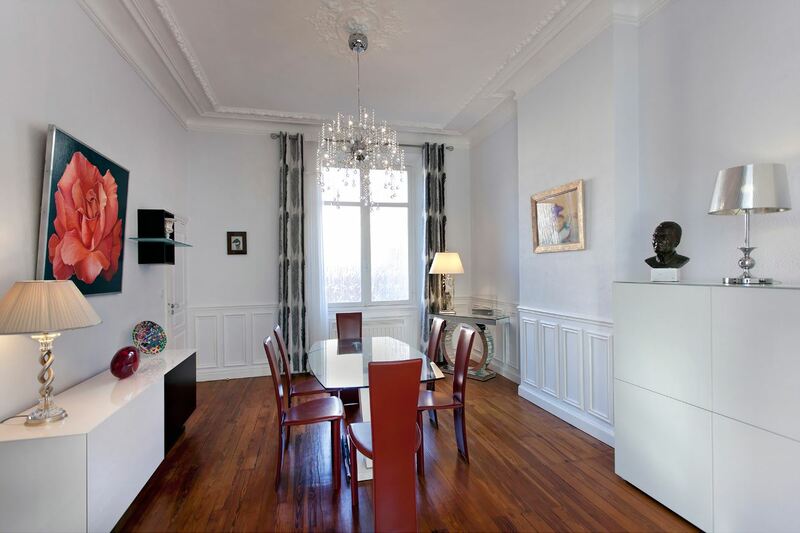 The dining room can accommodate 6-8 people and has direct access to the kitchen. 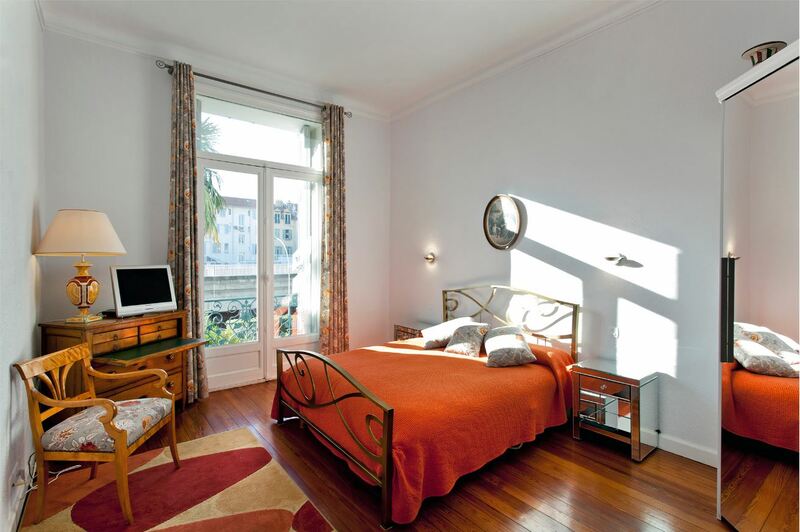 2 of the bedrooms are south-facing, each with closets and a balcony and the 3rd bedroom can be used as an office. 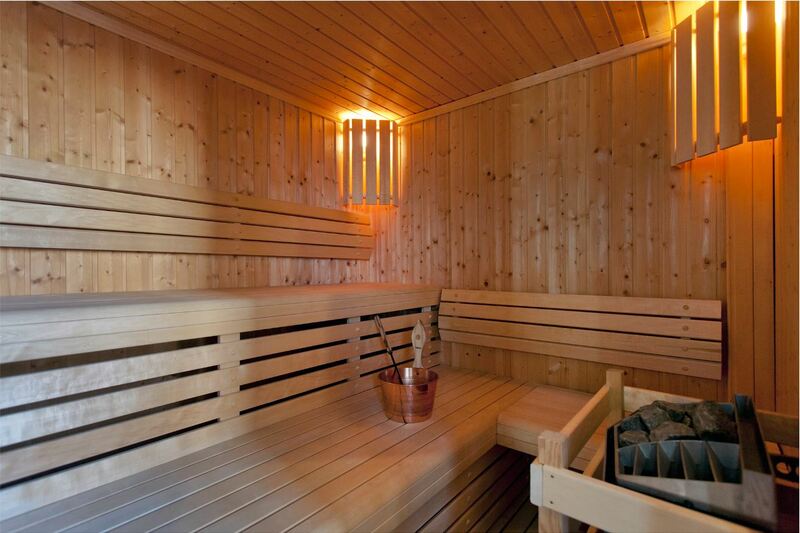 There is also a large bathroom with a sauna and a separate slightly smaller bathroom.